Standing next to Bort’s crate, alone and surrounded by the infected, I feared there was no escape; that I was done for, that there would never be another day beyond this one. And that’s when it happened. Out of nowhere, a strange and naked man dropped from above, wearing only a ninja’s mask and belt, and he pushed me back while waving a box of chocolate in the air. “Go!” yelled the nudist ninja. The mouths of the infected began to froth and foam as they cooed and clawed at the air, and, taking this moment to escape, I turned and ran in the other direction. 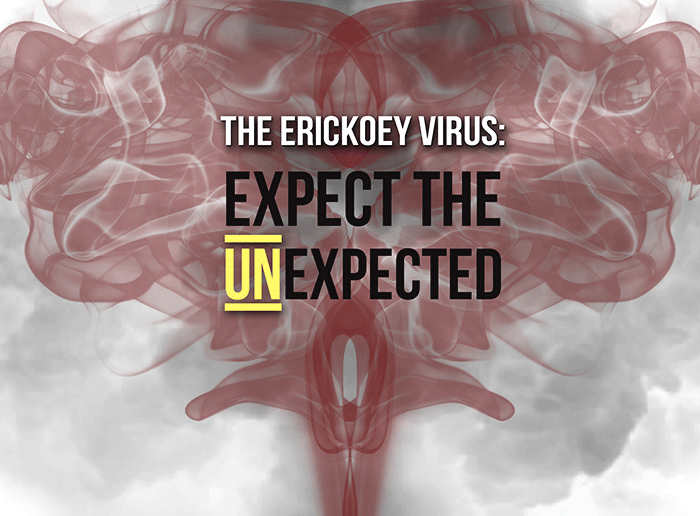 When I got outside, the smell of chocolate was already beginning to attract an even angrier, hungrier mob of Erickoeys, but beyond the cluster of infected I could see Bort, who had climbed a tree and hidden within its branches. I wasted no time and darted toward him, dodging infected after infected like they were the projectiles in a game of dodge ball. However, when I came to the tree and stared up its large, wooden shaft I could no longer move. How could I have not noticed this sooner? Why-oh-why had I not noticed this sooner!? Bort, just like the nudist ninja, was as naked as a newborn on his birthday. The reason for this was unknown, but I was certain it had something to do with the infected, that there was some important reason for it, that it somehow gave you an advantage… So I undressed as fast as I could! “You are trying to seduce me! I’m telling!” the boy said angrily and kicked his heels at my head as I tried to sit on a nearby branch. After that I wasn’t going to stick around and let Bort change his mind again, so the two of us quickly ran away from the creepy nudist ninja and ventured toward the city’s core. Fortunately, and leaving me quite surprised, two blocks later we were entering the downtown area and could already see the U.S. Bank Tower! And, of course, that’s when Mother Nature decided to balance things out. As we approached the building we discovered that it was surrounded by thousands of the infected. There were so many that it looked like a sea of chocolate… Let’s just hope it’s not real chocolate, otherwise both Bort and myself are screwed!